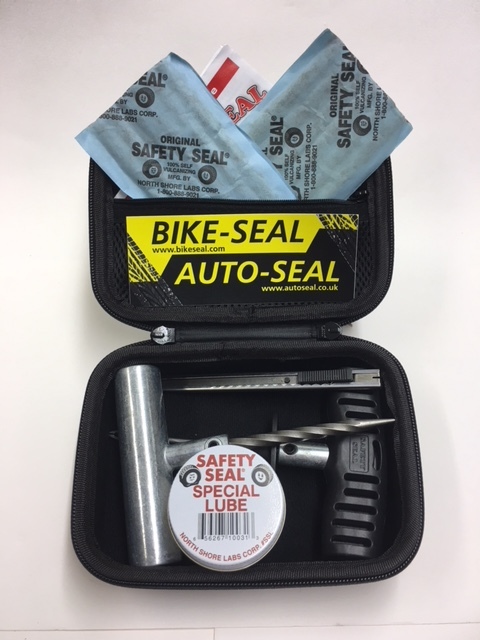 Compact Bike-Seal /Auto-Seal Puncture Repair Kit for emergency, tubeless puncture repairs for motorbikes, cars, vans, 4 x4s, off road vehicles etc. 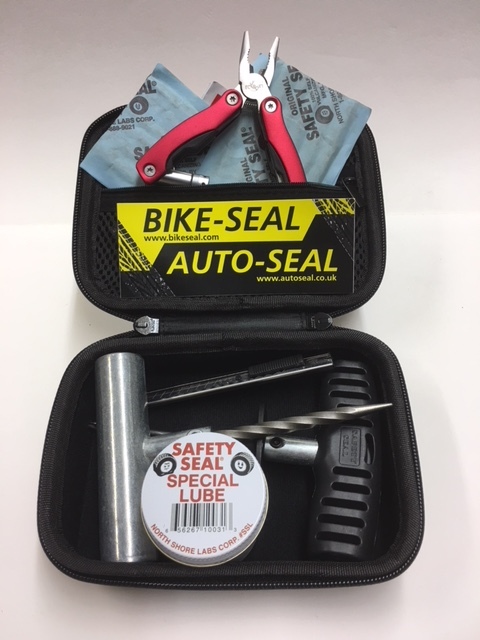 EXCLUSIVE Compact Bike-Seal /Auto-Seal Puncture Repair Kit for emergency, tubeless puncture repairs for motorbikes, cars, vans, 4 x4s, off road vehicles etc. 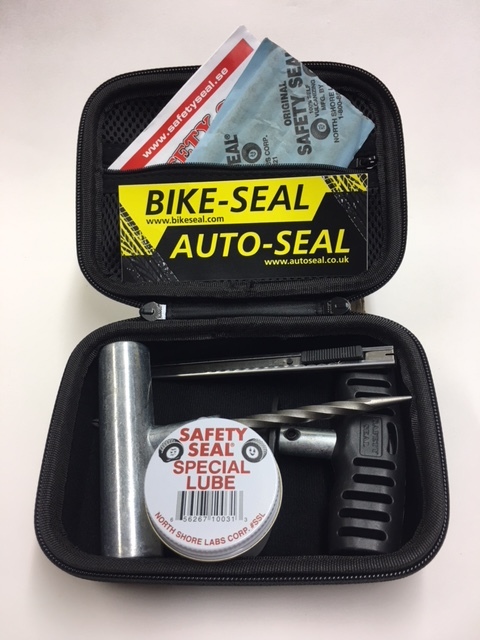 This new, lightweight and highly portable, space saving puncture repair travel kit will fit neatly under a motorbike seat or in the glove box of your vehicle. 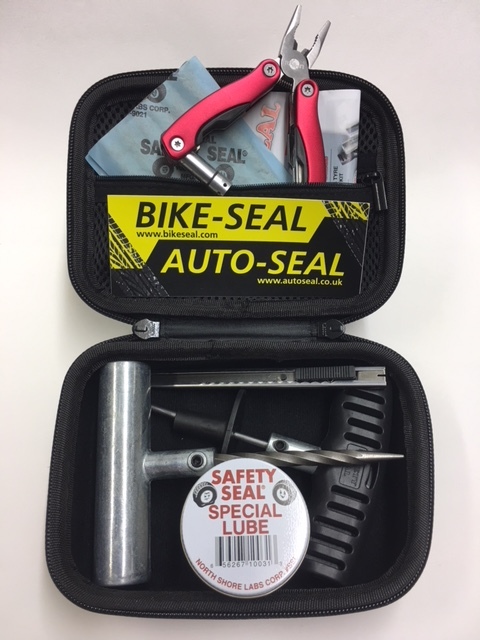 Designed specifically to provide a premium, tested, reliable, heavy duty repair kit for safety and peace of mind whilst working, travelling or touring world-wide, at an affordable price. 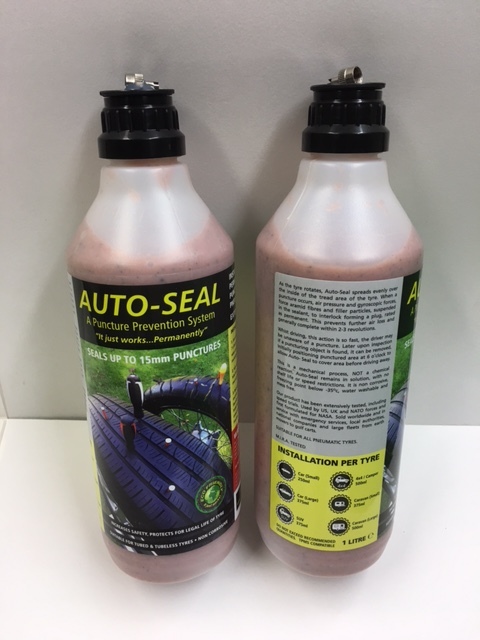 Genuine, premium Safety Seal components. 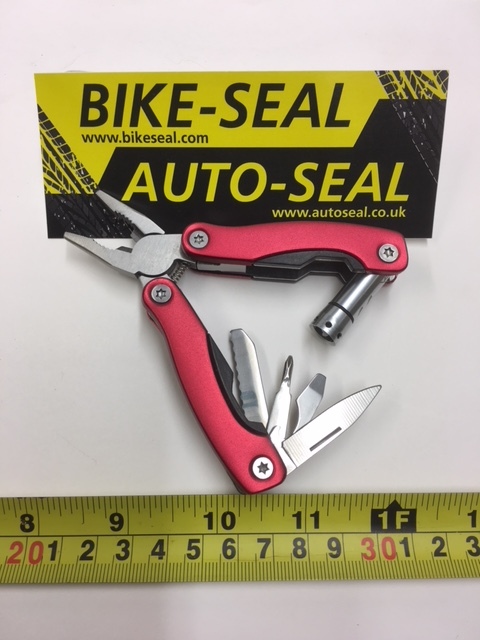 Repair Shear strength up to 160 kgs. 8 -10 years’ plug shelf life. Can deal with angular/irregular shaped damage. 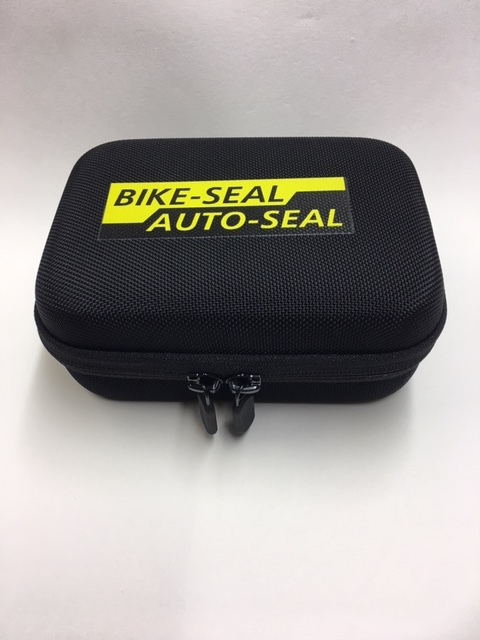 Quick, safe & easy to use. All parts can be replenished.